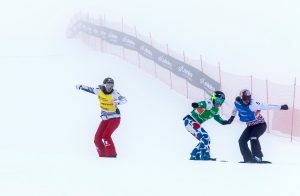 La Molina, Spain – Italy’s Michela Moioli, and Pierre Vaultier of France won the 2016-17 season’s penultimate snowboard cross World Cup event, which was staged in foggy conditions in La Molina, Spain on Sunday. Moioli, fresh off a first and sixth-place finish at the last World Cup stop in Germany underlined her current form by keeping her rivals at bay in a thrilling women’s final. The 21-year-old from Alzano Lombardo crossed the finish line first ahead of Eva Samkova of the Czech Republic, who therefore nabbed the World Cup lead with a total of 4,370 points from former top rider Belle Brockhoff of Australia, who lost some precious ground on Sunday by finishing in seventh position. 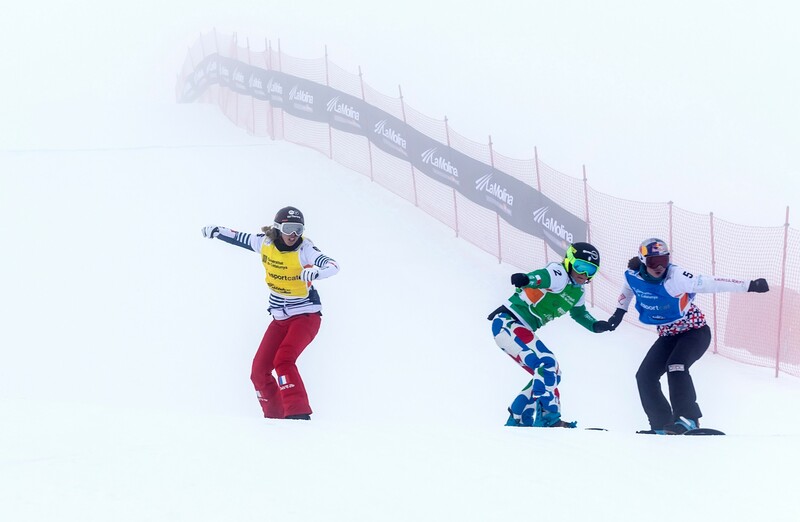 France’s Chloe Trespeuch rounded out the podium in third with her teammate and 2015 La Molina winner Charlotte Bankes placing fourth. American rider Lindsey Jacobellis, of Stratton Mountain, Vt., finished fifth. In the men’s event, which featured a lot of passing maneuvers, tight battles from start to finish and several photo finish decisions, it was Olympic champion Pierre Vaultier earning his career’s 19th win ahead of Austria’s Lukas Pachner, 25, who became the first athlete from Vienna to ever podium in an individual World Cup competition. American Nick Baumgartner finished in third position ahead of Italy’s Omar Visintin. Pachner, Baumgartner and Visintin crashed and tangled on the first left berm of the course, paving the way to an easy win for Vaultier. But even though Visintin was the last to recover from the crash, his fourth-place finish was enough to retake the lead in the World Cup standings from Austria’s Haemmerle, who missed Sunday’s finals by placing only 53rd in Saturday’s time trials. Visintin has now tallied 3,470 points, just 20 more than Haemmerle with only one race left on the calendar. 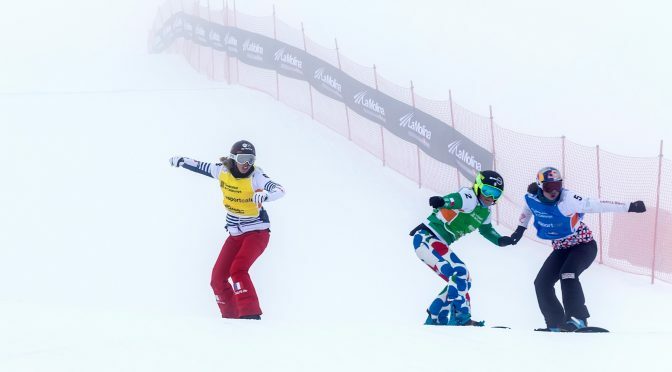 Before that final World Cup race in Veysonnaz, Switzerland March 24-26, riders will head to Sierra Nevada, Spain for the 12th FIS Snowboard World Championships, where the individual snowboard cross is scheduled for March 11 and 12 and a team SBX event on March 13.